But what about in our businesses? What steps do we take on a regular basis to diminish risk in our companies? I don't mean the overtly apparent risks, such as a spill on the floor, or the risks outside our control, such as local and state regulations or natural disasters in the form of snow storms or floods. I am talking about the business risks that occur daily in our organizations. While most manufacturers understand that comprehensive ERP software can reduce costs and increase profits, they may not realize that they have also invested in a built-in risk reducer! But the level with which you can mitigate risk with your ERP software ranges greatly, with the greatest benefit coming from a single database ERP solution, where all aspects of the business are controlled and the data flows freely throughout your organization. Risk: Under or over producing parts. If you under produce, you are left short on your order and have to figure out a way to create additional parts. If you over produce, then you have wasted raw materials, time and labor. Either option equals lost money. Solution: Real-Time Production Monitoring. Know at every moment the exact progress of your work centers with automated updates on exactly how many parts (good and bad) you have created and how long you have left before a job is complete with a production monitoring program that automatically pushes production data from the shop floor to your ERP software. Risk: EDI not transferring accurate information to your ERP software. If you are using a third-party EDI program, then data may not be easily interfacing with your ERP solution, resulting in tedious and timely rekeying of data (complete with natural human error) or delayed batch transfers. Solution: Embedded EDI. With an EDI module and alert system that is built into your ERP solution, you can easily optimize and configure the processing of incoming data based on your business rules, lower the number of hours it takes to process transactions, get notified of anomalies in the data and respond automatically with outgoing messages for better customer service. Risk: Not enough raw materials. One of the most annoying occurrences on the shop floor is to get a job scheduled, loaded and ready to run, only to realize that you do not have enough raw material on hand to complete the order! You are stuck either under producing, delaying the job or rush ordering more materials - None of which are something you want to report to the boss. Solution: Accurate, integrated production and forecasting tools. With a comprehensive ERP solution that takes into account all aspects of your business (including MRP, projected sales orders, current work load, production quantities, scrap rates, inventory levels and more), you can implement true just-in-time manufacturing processes and never be left empty-handed. Risk: Lack of detailed traceability. Improper quality control is a risk that no manufacturing facility can ignore. Every industry, from automotive to medical to food and beverage, has its own set of highly regulated requirements, making back to front part traceability paramount. Solution: Integrated Quality Management System (QMS). With a suite of quality management products, including certificates of conformance, document control, SPC, quality audit, MRB, ECO, CAR and PLM, you can be guaranteed that every aspect of a product, from raw material to shipment, is traceable and accurate for every batch or lot produced. Risk is an inherent part of doing business. But risk does not have to run unchecked throughout your business. If you have invested in a comprehensive, extended ERP solution, then you already have the tools you need to begin reducing risk. 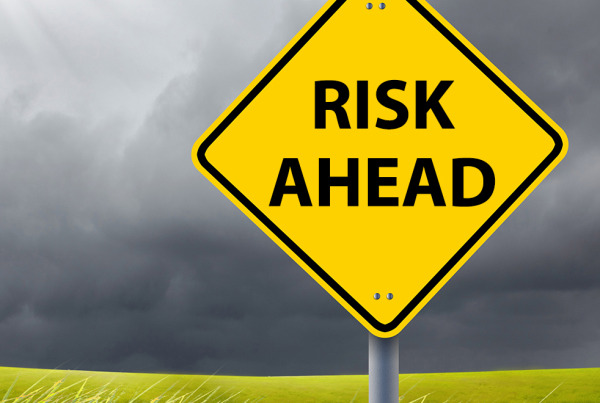 What sort of risks have you mitigated with your ERP solution?